Shaggy haired songwriter Kurt Vile has titled the follow-up to his rather excellent 2011 album, Smoke Ring for My Halo. 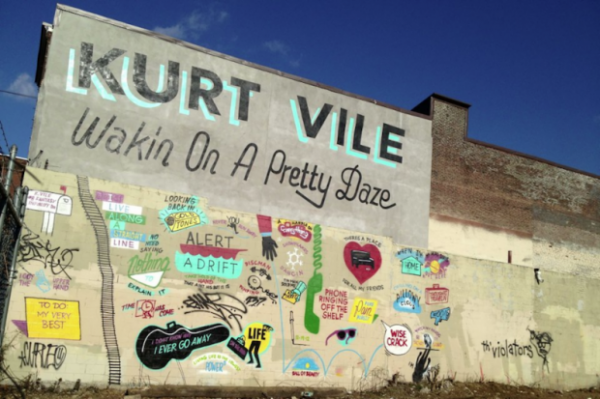 As Philadelphia radio station XPN reports, Violators guitarist Jesse Trbovich posted a mysterious photo (see above) featuring street art by Steve Powers, which will appear at the intersection of Front and Master in the City of Love. Matador also told us that the mural will be incorporated into the album’s artwork.